I am really proud to be part of a bilingual collaborative that helps provide resources to the business owners in Southwest Detroit. We decided to join forces last year and have had wonderful results. Estoy muy orgullosa de ser parte de una colaboración bilingüe que ayuda proporcionar recursos para los dueños de negocio en Southwest Detroit. Decidimos juntarnos hace un año y hemos tenido excelentes resultados. En Noviembre, tuve el honor de ser intérprete para el estimado Don Rodrigo Padilla, de la Taquería el Nacimiento cuando no solo recibió un premio por parte de Motor City Re-Store, sino también le pidieron que contara su historia en el evento. Follow these businesses on Facebook so you can see the progress as they help to beautify Southwest Detroit with new murals and other exterior improvements. Southwest Detroit recibió más premios que cualquier otro vecindario, nuevo de cuarenta y uno, debido al trabajo colaborativo de nuestras agencias. Cuatro negocios en el BID – el Distrito Comercial de Mejoramiento de West Vernor – Springwells, por la cual apoyo en las comunicaciones, y ocho de mis clientes de TechTown SWOT City recibieron premios. Sigue los negocios en Facebook para que puedas ver el progreso mientras ayuden embellecer a Southwest Detroit con murales nuevos y otras mejoras exteriores. Photos courtesy of Latino Press http://www.latinodetroit.com and MotorCity Re-Store. I need to help . . . I feel a calling. Again. 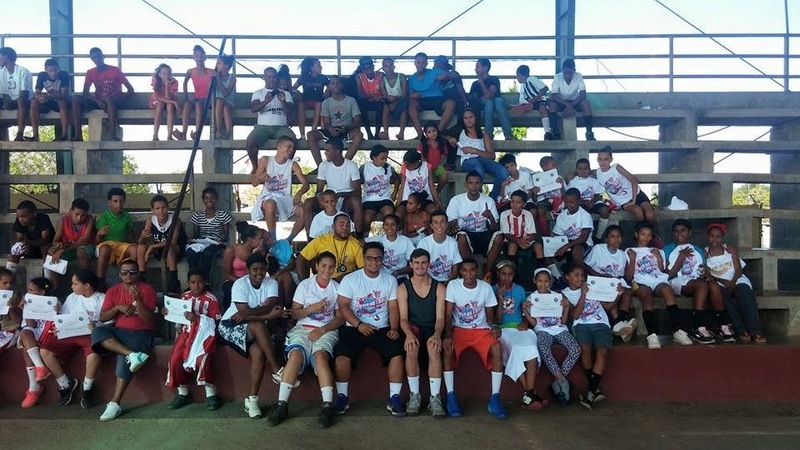 Last month, I spent five days helping to run a camp in the Dominican Republic. I need to do more. Now I know. I need to go back. These kids, this community, they touched me. When I was in high school, I knew I needed to go to Mexico – to live, to learn, to meet these people I had studied. It wasn’t a whim. I knew I had to become bilingual – I didn’t want to just learn textbook Spanish – I wanted to understand everything about the culture too. Street Spanish. Everyday Spanish. In college, after spending six months living with a family in Morelia, Michoacán and traveling throughout Central Mexico, I dreamed of going into the Peace Corps or becoming a missionary in Latin America. My professors talked of living among the Mayan Indians in Mérida and of studying civilizations across the globe. “I’m going to do that too,” I thought. But, life happens. The last 21 years happened. My heart needs to help. I dreamed of teaching in the inner-city. I dreamed of building schools in rural Latin America. I want to help build lives, give love, provide skills. Can I afford to follow my heart? Can I afford to ignore this ache again? I think I know the answer. Can’t wait to see what powerful things are going to happen! If you are interested in reaching disadvantaged kids in Latin American or would like to find out more regarding Basketball as a Mission. Contact us here or go to http://www.basketballasamission.org. If your company is in the Metro Detroit or Chicago areas and would like Puente Cultural Integration to provide consulting, cross-cultural or diversity training for your staff, please contact bridget@puenteci.com for a quote.